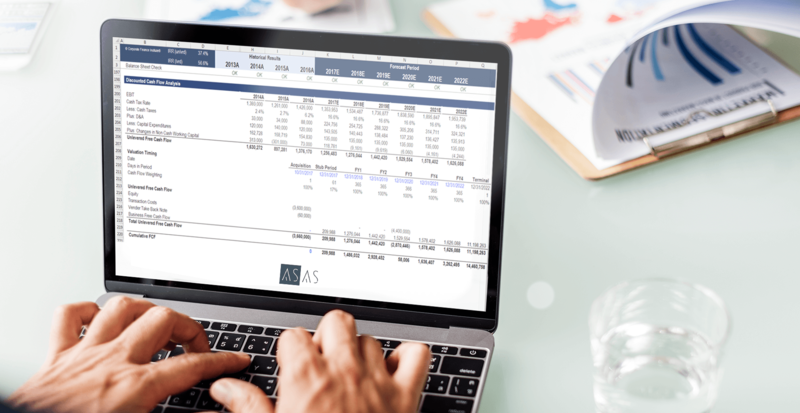 The mission of the AS|Investment Research is to provide unparallelled, independent, insightful and differentiated financial research so that our clients can make informed investment decisions that unlock value creation when engaging in equity investments. The report starts with some basic information about the firm, including the primary sector and industry in which it operates, ownership structure, short financial overview, geographic business locations, the investment recommendation, the current value of the firm and our estimated target/intrinsic valuation. In this section, we advice our client whether investing or not in the targeted firm. The section includes qualitative and quantitative analyses regarding significant recent developments, firm competitive advantage, market share, cash flows and earnings forecasts, and a proprietary DCF model-backed firm valuation summary. Our independent views whether the firm/equity shares under scrutiny, should be purchased or sold, are always endorsed by clear and concise explanations. At this stage we provide a thorough, detailed description of the firm and its products and services. We analyze the firm’s economics, including a discussion of the key drivers of revenues and expenses. Furthermore, we investigate industry dynamics, including a competitive analysis of the industry. In order to enhance the examination of the health and competitive intensity of the target firm, we take into account groups of peer companies (comparables), which operate in the same sector and are similar in operations and financial structures. Finally, we quantify the strength of the firm’s competitive advantage (economic moat) and convey the result as i) firm with a strong CA, ii) firm with a weak CA, iii) firm with no CA. To assess the sustainability of abnormal profits, we perform ongoing assessments of the competitive advantage trend. The latter is crucial for a firm to further increase its valuation. At AS|AS, we firmly believe that a firms’s intrinsic worth results from the future free cash flows/abnormal profits it can generate. In the Valuation Analysis section of the report, we provide a cutting edge valuation analysis of the company using conventional valuation metrics and formulas. We use cash flow based and earnings based proprietary valuation models, which are further backed by relative valuation techniques (pricing according to the market comparables), to arrive to a triangulated, reasonable target intrinsic firm price. The latter is tested adequately under different scenarios, and when needed, modelled with Monte Carlo based simulations. phenomena such as unexplained changes in accounting, especially when performance is poor, unexplained transactions that boost profits, unusual increases in trade receivables in relation to sales increases, an increasing gap between a firm’s reported profit and its cash flow from operating activities, unexpected large asset write-offs, related-party transactions or transactions between related entities etc. Once the financial statements have been standardized, our analysts can identify any distortions in financial statements. Our primary focus is on those accounting estimates and methods that the firm uses to measure its key success factors and risks. If there are differences in these estimates and/or methods between firms or for the same firm over time, we assess whether they reflect legitimate business differences and therefore require accounting adjustments or not. If this is the case, the financial statements are adjusted and normalized. Afterwards, we continue with evaluating the time series and cross sectional financial performance. We make use of advanced techniques in examining capital structure, asset management, capital allocation, profitability and returns, credit worthiness, liquidity and solvency standing and finally cash flows patterns.